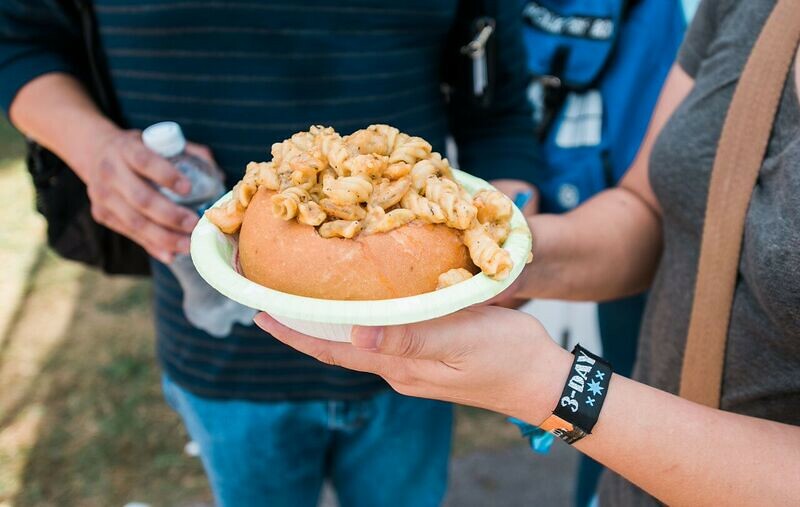 Joining us at Voodoo this Halloween weekend in New Orleans? 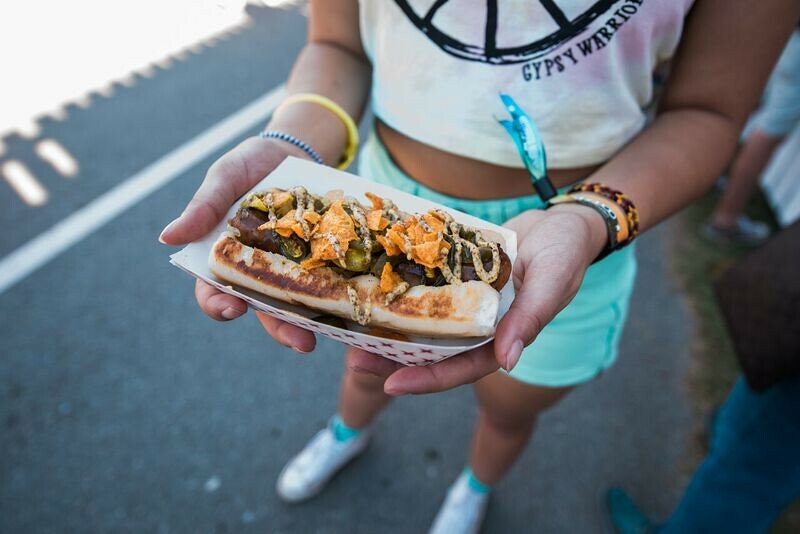 With so much to see, hear, and taste, here are the important logistics and tidbits to keep you in the know. Please bring a valid photo ID in order to pick up your wristbands. Haven’t purchased your tickets yet? 3-Day and 1-Day GA, Loa VIP, and Platinum Tickets are on sale now! You’ll also have the opportunity to register for Voodoo Cashless – it’s the easy way for you to pay for food, drinks, merch and more with your wristband during the festival. New For 2018, use your PayPal account to register for Cashless and you may also receive a $5.00 Voodoo Credit applied to your festival wristband good for your purchases at Voodoo. Terms apply. If you DO NOT have a bag, please enter through the No Bag Express Lane. If you DO have a bag, please enter through the Bag Lane and expect delays as bags are open for inspection. Bags will be restricted to small purses, totes and drawstring bags only. Bag size may not exceed 14” x 11” x 5” (35cm x 28cm x 12cm), or 30 linear inches (75cm) in total, and must have no more than one singular pocket or opening. Backpacks and bags with multiple pockets are prohibited. Hydration packs are allowed but must be emptied of all liquid and have no more than two pockets in addition to the one holding the water reservoir. Please check the list of prohibited items in advance, listen for the audio announcements and dispose of any item that is not allowed inside the festival. Do not leave your items unattended. 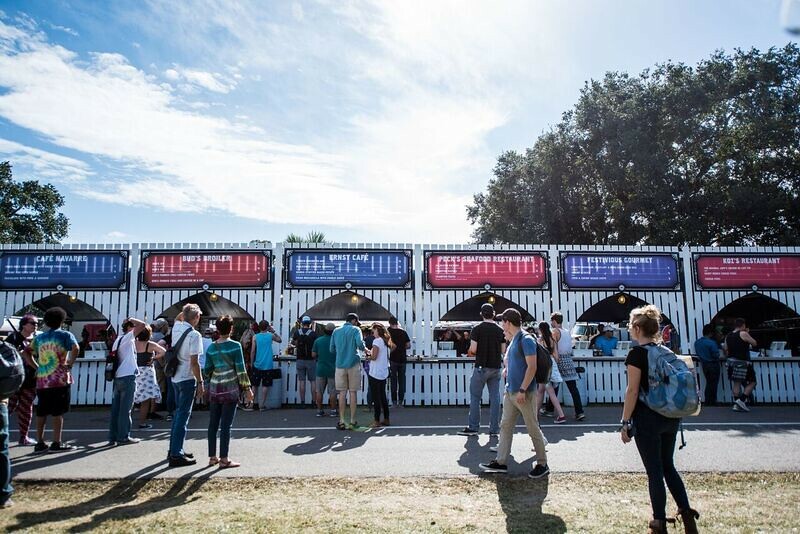 Lockers & Mobile Charging Packs are available for 3-Day, 2-Day and 1-Day rentals, available near the main festival entrance. Click here to reserve your locker in advance to secure best available pricing. Please have your wristbands securely fastened on your right wrist and visible to security as you enter the festival grounds. Whenever possible, patrons should avoid arriving during peak hours from 3-5pm to ensure the quickest entry into the park. PRO-TIP: We have added a second entry gate along Golf Drive that is open for all GA, VIP and Platinum ticket holders. Remember to stay hydrated (visit our Hydration Stations for free, cool, filtered water) and eat regularly at the Forked Up Food Court. Keep yourself and your belongings safe – be aware of your surroundings and keep an eye on your personal items at all times. If you find something OR lose something, head to a Guest Services for our Lost & Found. Keep your cell phone and wallet close – the New Orleans Police Department will be on the lookout for cell phone theft. Dress for the weather – we’re constantly monitoring the weather. Keep an eye on the radar before heading to City Park so you can dress accordingly (rain boots, ponchos, etc). Nola has been pretty rainy lately, so a good pair of rain boots might be a wise investment. Forget your poncho? Head to the Voodoo Mart to purchase one. If you get lost or separated from your group, designate the Guest Services Tent inside the Front Gate on Friedrichs Avenue as your meeting place! Voodoo wants every fan to feel safe at the fest. There is a zero-tolerance policy for harassment. Please let our staff know if you feel harassed or threatened in any way. You can also visit a Medical Tent for resources and information. NO always means NO. Check out our Safety page for more information. Liquids are not allowed into the festival. 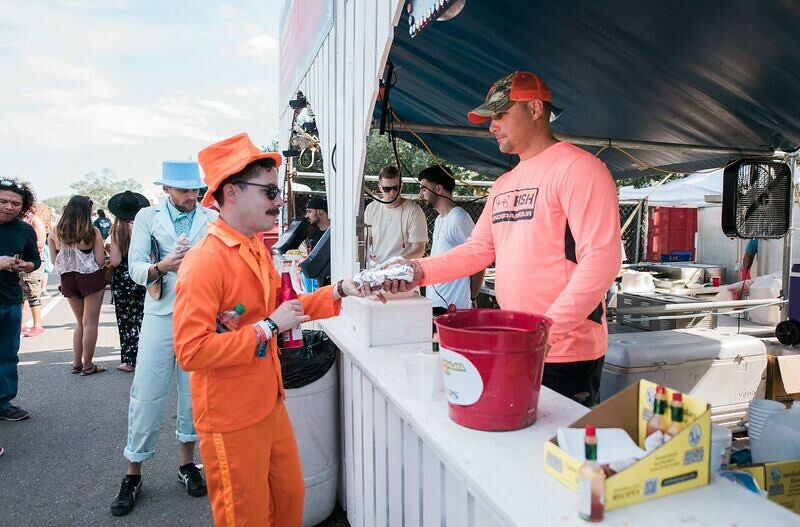 Bring an empty refillable container and fill up at the free hydration stations at the fest. Stay hydrated out there! Voodoo is great for families, with children 10 and under admitted for free with a ticketed adult. Once you’re in the park, visit a Guest Services booth where parents can register their kids with the festival and receive a special wristband. In the event that a child gets lost, we have a reliable and fast way to reunite them with their parent. Visit a Guest Services booth for all event related questions while on site. Festival programs, lost and found, Tag-A-Kid and other event services are offered. Guest Services booths are located inside each of the entrances. If you lose something at the festival, you can also visit Voodoo’s virtual lost and found at voodoofestival.com/lostfound. Here you can view found inventory, submit a claim, and be more easily connected with your item(s). If you find something, please turn it into a Guest Services booth. Help keep City Park beautiful by using the provided waste and recycling bins. Visit a Rock & Recycle Center for details on how to rock out, recycle, and be rewarded with a collectible Voodoo Shirt and a chance to earn cool prizes like a Fairdale bike or 2019 Voodoo Tickets! Download the Official Mobile App presented by BACARDÍ® now for iPhone and Android to have everything you need to know about the festival right in your pocket. You’ll be able to create your own custom schedule, check out the map, discover artists you may not know on our lineup, and more. 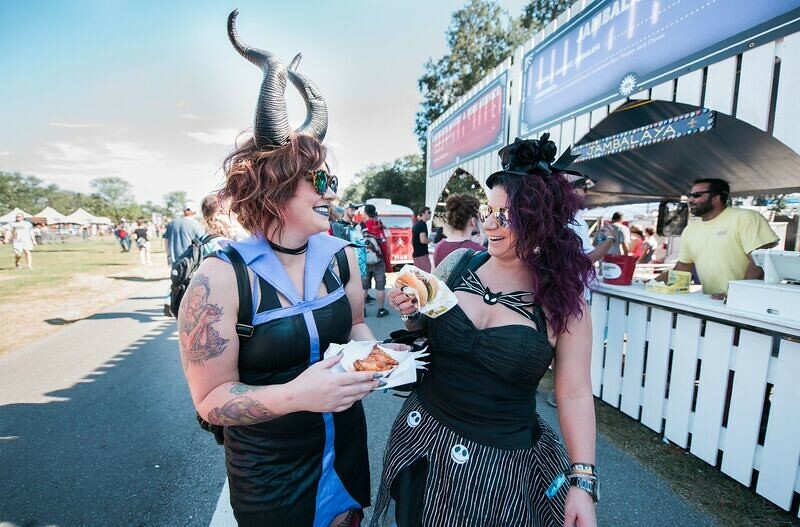 There are plenty of ways to get to Voodoo! 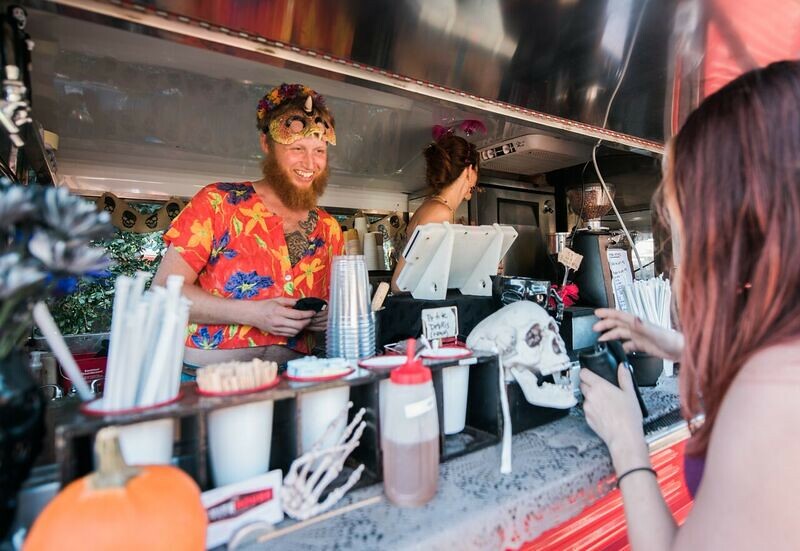 From Uber to public transportation, keep reading for ways to get to the fest this Halloween weekend. Anyone getting dropped-off or picked-up is welcome to use this dedicated space on Marconi Dr. between Victory Ave. and Tad Gormley Stadium. 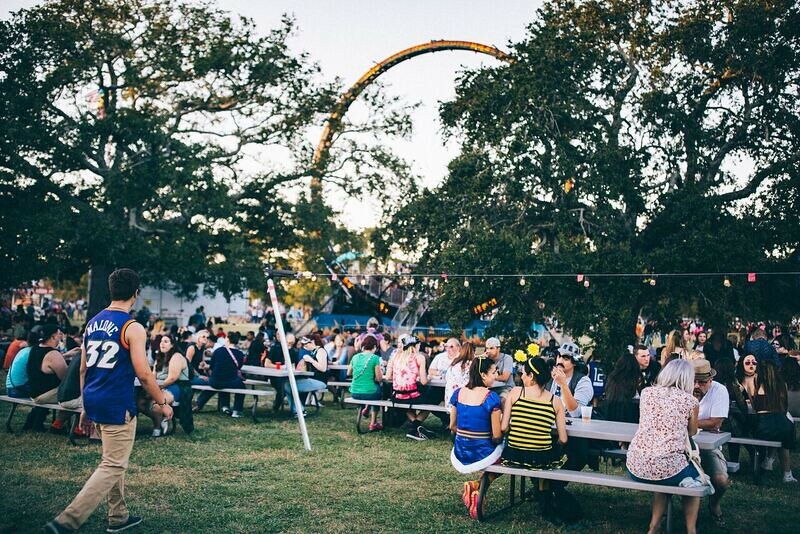 This is the best meeting spot for getting picked up after Voodoo. Please note that this is just a pick-up and drop-off zone, so drivers must remain in vehicles. 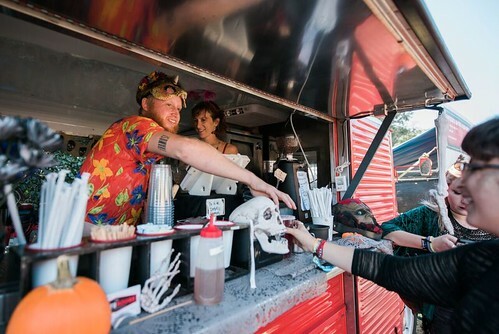 Voodoo takes place in a great neighborhood, and the folks there are overly tolerant of the extra disruption Voodoo brings every year. Please be respectful of our neighbors and their properties – don’t do anything you wouldn’t want someone doing in your yard. Also note there is limited street parking near and around City Park. Please be aware of any signs restricting parking. Overnight parking, walking, sleeping, camping by individuals or groups is prohibited within the confines of City Park. Also, parking on the Bayou or the Neutral Ground (median) is illegal and you will be towed. Go green and bike to the festival! Bike parking can be found directly south of the Box Office, near the main entrance east of Enrique Alferez Dr.! If you plan on leaving your bicycle at the bike racks, don’t forget to bring your own lock. Please be aware that all bikes left locked in the designated bike racks after 11 PM on Sunday risk being impounded. Once you’ve downloaded the mobile app, take a look at the Official Voodoo Map to get to know the festival grounds. 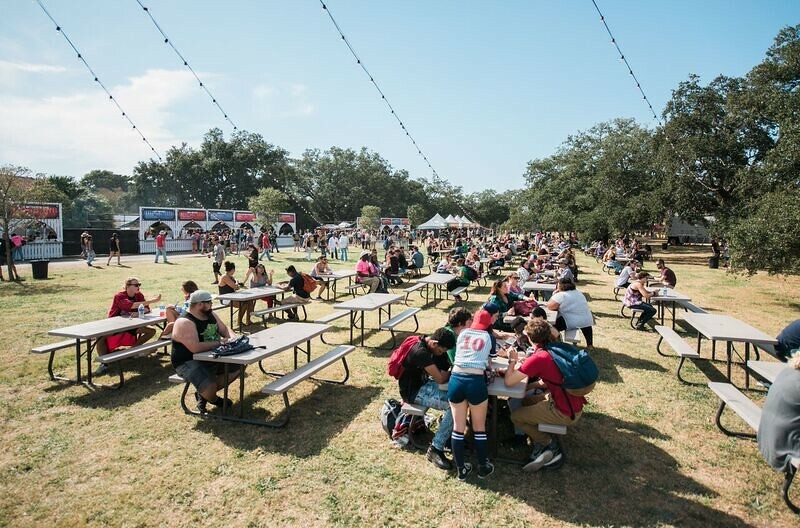 Find out which stages are where and map out other hotspots like the Free Water Filling Stations, Forked Up Food Court, Brew Dat Sports and Craft Beer Bar and the Voodoo Mart. New Orleans is known for its incredible cuisine, and the Forked Up Food Court will feature some of the best traditional dishes the city has to offer plus vegan, vegetarian and gluten free options. From Blue Oak BBQ and Dat Dog to Reginelli’s Pizzeria and Boucherie, there’s something for everyone. When you’re ready to take a break from all the music, be sure to check out other happenings in the park to help you relax and have fun offstage. 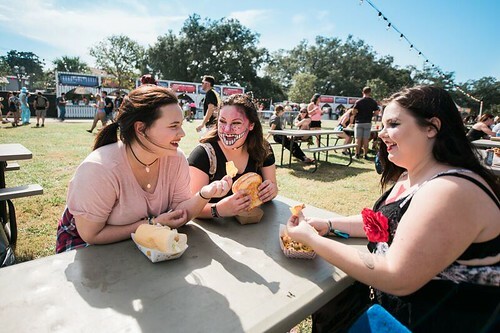 From the Toyota Music Den to the JaM Cellars Voodoo Wine Lounge, some of our favorite partners will be in City Park to bring you free goodies, fun activities, giveaways and more throughout the weekend. PLUS for the first time, we’re introducing Voodoo Cares – a nonprofit area featuring Love Hope Strength Foundation and Musicares. Stop by to learn about these great causes making a difference. Grab the latest voodoo gear at the Merch Church located in the heart of the festival just across from the main entrance. Be sure to get your hands on the limited-edition 20th anniversary goods. From blankets and hoodies to socks and bandanas, we have tons of treats in store. You’ll also find the latest swag from your favorite bands under the same roof. Surrender to the festival magic and shop early for the best selection! We teamed up with New Orleans-based artist Pat McGuinness to produce this year’s commemorative poster. In celebration of the 20th anniversary, this poster is available in two versions; the Commemorative as well as the Numbered Foil Edition. Don’t miss out on this limited-edition collectable. These posters will never be reprinted – once they’re sold out, they’re gone forever! Follow us on Facebook, Twitter, Instagram, and Snapchat for the latest information and updates on the festival. Remember to hashtag all of your photos #VoodooFest, and we’ll see you in City Park!